There’s no easy way to demand your own money back. ET Wealth tells you how to tackle the tricky situation without disturbing the delicate relationship. A simple, effective way is to meet the colleague one on one and bring up the issue. Offer only the money you can spare and are prepared to write off because there is a high probability you will never see it again. Give money only if the co-worker is facing a genuine financial crisis, not if he needs it for a discretionary spend. Check if the colleague is a habitual borrower and has asked other co-workers for money as well. Do not lend in such a case. Don’t be pressured into parting with your money if you don’t have a good equation with the boss because it’s a cinch you will not get it back. However, do so in a non-offensive manner by citing, say, a personal crisis. If the co-worker has promised to repay the amount in the next pay cycle, wait for it. If no time frame has been set, be proactive and don’t let too much time lapse before reminding the person. The longer you wait, the higher the probability that you will not get your money back. Another likely fallout is that, with time, your relationship with the co-worker is bound to become strained in office, which may affect your work. Don’t prepare an elaborate request, type out a long mail, or send out a Whatsapp message. A simple, effective way is to meet the colleague one on one and bring up the issue. 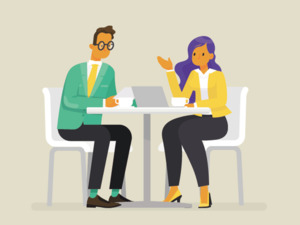 Avoid a confrontational posture and remind him gently about the pending payment, saying, “I just wanted to know when you are planning to return the money.” Do not accept vague commitments like, “In two or three months.” Get the colleague to seta clear date and, if he doesn’t return the money by this deadline, approach again. It is possible that the co-worker is facing a genuine crisis and finding it difficult to pay back the lump sum. In such a case, make it easier for him by staggering the payment over a few months. You could suggest post-dated cheques as instalments or ask him to transfer through payment apps or wallets on a fixed date every month. Another option is to have the colleague do something for you in exchange, say, drop you home or pay for something you were planning to purchase. He could also cover your contribution at the next outing or meal, or pay for you in case of a gift being given to a colleague. This approach could also work in the case of a boss as it may not be easy to confront him or remind him in person. If you need the money badly, try to convey the urgency to the co-worker. This can be done directly by citing the reasons you need it for, say, an upcoming large payment, or a personal financial crisis, or even a medical emergency. For additional pressure, you could remind the colleague publicly by declining an outing, citing lack of money, or through pointed remarks about your financial situation. All of us have been in a financial dilemma when it comes to relationships. How do you say no to a friend who wants you to invest in his new business venture? Should you take a loan from your married brother? Are you concerned about your wife’s impulse buying? If you have any such concerns that are hard to resolve, write in to us at etwealth@timesgroup.com with ‘Wealth Whines’ as the subject. Disclaimer: The advice in this column is not from a licensed healthcare professional and should not be construed as psychological counselling, therapy or medical advice. ET Wealth and the writer will not be responsible for the outcome of the suggestions made in the column.